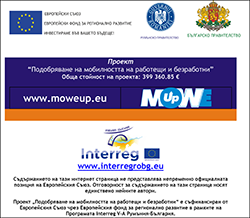 On May 19, 2017 the Municipality of Krushari and the Regional History Museum of Dobrich started the implementation of the project "A Cross-Border Union in the Shadow of History" under the INTERREG V-A Romania-Bulgaria 2014-2020 Programme. The main objective of the project is to improve the sustainable use of natural resources and the cultural heritage in the cross-border region of Dobrich District and Constanta County. Partners in the project are Hursova Municipality - Leading Partner, Krushari Municipality, Museum of National History and Archeology of Constanta and Regional History Museum of Dobrich. Archaeological camp for learning and exploring the local culture for students from Krushari and Hârșova.